Corn is seen in the field in Morocco, Indiana, U.S. September 6, 2016. Tom Giessel is cutting back on plantings this year on his farm in central Kansas as he reckons with a drought, a glut in global grains supply and trade tensions between the United States and China. About 200 miles away in the northwestern part of the state, farmer Janet Bear swapped the sorghum seed she ordered for corn, after top importer China slapped steep anti-dumping investigation into U.S. sorghum. The action pushed down U.S. prices and made the crop less profitable. Beijing separately threatened last month to slap an aggressive 25 percent tariff on U.S. soybeans, the single most valuable U.S. agricultural export to China, worth about $12 billon annually. The salvos from China came in reaction to threats from U.S. President Donald Trump to impose up to $150 billion in punitive tariffs to lower trade deficits and combat what he calls Beijing’s misappropriation of U.S. technology. 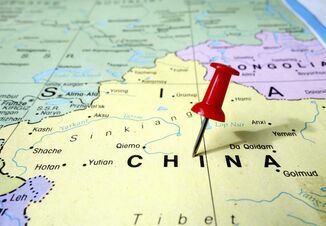 Beijing has threatened equal retaliation, including tariffs on some of its largest U.S. imports, including aircraft, autos and agricultural commodities. The conflict between the world’s two largest economies has sown uncertainty in the U.S. heartland about what crops will be profitable come harvest. Some farmers have changed from one crop to another. Others have decided to leave some land fallow rather than risk growing a money-losing crop. Nationally, U.S. farmers are set to plant the fewest acres with crops in seven years, according to the most recent farmer survey from the U.S. Department of Agriculture. The agency’s forecast for 318 million crop acres is down just 0.4 percent from 2017, but it signals curbs in plantings of everything from corn and soybeans to sugar beets and sunflowers. The trade dispute adds another layer of complexity to U.S. farmers’ decisions as they wonder whether one of the biggest buyers in global agricultural markets, China, will want to import U.S. produce and in what volumes. Farmers are already struggling financially to deal with incomes that are less than half what they were in 2013 because the prices of staples such as corn, soy and wheat have fallen amid massive global harvests in recent years. Giessel plans to leave an extra 100 acres unplanted with corn or sorghum - about 8 percent more than he usually leaves fallow - because of poor profit margins. “I feel like I’ve been whipsawed by all of this trade business,” he said on Friday. Farmers could still change their planting plans depending on weather, price fluctuations and the whims of trade policy. Last year, they ended up planting 0.7 percent more than the USDA initially projected. Land that is less productive may be left fallow this year or set aside for other purposes, such as hunting or grazing livestock, said Warren Preston, the USDA’s deputy chief economist. Some of the biggest shifts in plantings of major crops are expected on farms in the Great Plains and across the Midwest. In Kansas, plantings are expected to drop 7 percent for corn and 5 percent for soybeans. Oklahoma corn plantings are projected to fall 11 percent, and its soy plantings are expected to decline 13 percent, according to the USDA. Bear, who farms near Brewster, Kansas, said she switched 640 acres to corn from sorghum, a livestock feed also known as milo. Recent rains encouraged her to plant corn, which allows her to avoid a certain type of pest that infests sorghum fields and gives her a better chance at a profit, she said. “We were better on milo (prices) prior to the anti-dumping campaign,” Bear said. In Garden City, Kansas, where sorghum and corn compete for demand, sorghum was fetching about $3.48 per bushel and corn about $3.78 per bushel. Prior to China launching the investigation, the two commodities were trading nearly at parity. Oklahoma farmer Zach Rendel said corn prices were stronger than sorghum partially due to China’s anti-dumping action against sorghum. He planted 900 acres of sorghum last year and will only plant 100 acres this year. Worries about low prices and drought will prompt Oklahoma farmers to leave some land fallow that was formerly planted with soy, corn and other crops, said Tom Stephens, who grows millet in the Panhandle. “There’s no profit in it,” he said. Agribusiness companies are already feeling the effects of farmers’ changing plans. An overall shift away from corn planting contributed to a 6 percent decline in Monsanto Co’s net sales of corn seeds and traits in the second quarter, according to the company. 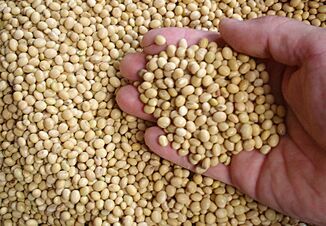 Sales of soy seeds rose 5.8 percent to $912 million. Some rural farm cooperatives that sell seed and chemicals have complained to their lenders about farmers’ reduced planting intentions, said Tanner Ehmke, manager of the Knowledge Exchange Division at CoBank, one of the largest U.S. agricultural lenders. “In places where farmers aren’t planting, it means they are no longer buying the inputs from their local farm cooperative or ag retailer,” Ehmke said. Higher prices for products such as seed, fertilizer and herbicide should help offset some of the lower volumes sold by agribusiness companies, according to the USDA. U.S. data show farm production expenses are expected to be flat at $359 billion. 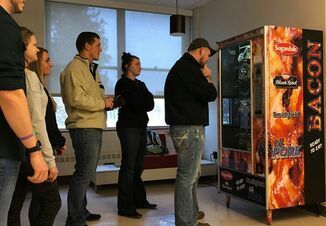 Still, Shane Ohlde, chief executive of Ohlde Seed Farms in Kansas, which sells seeds to farmers, said farmers in the state were uncertain about what to put in the ground.